"Our customers just want an affordable application that runs continuously, without downtime. 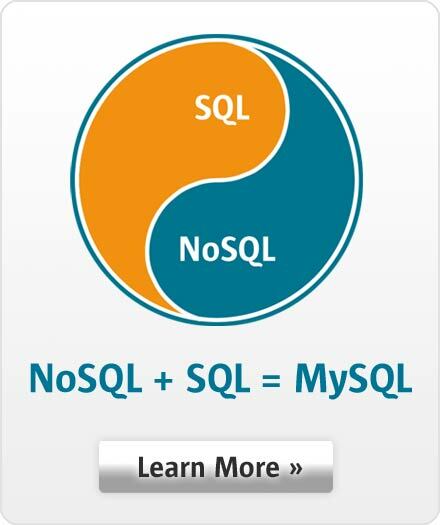 MySQL is cost-effective and very stable, which is a perfect fit." SWP-irma, based in Stuttgart, Germany is a leading provider of ERP (Enterprise Resource Processing) and PPS (Production Planning Systems) for manufacturing companies in the plastics industry. SWP-irma's suite of products have been widely adopted by plastics manufacturers across Europe. Their customers include manufacturers who supply parts, components and complete sub-assemblies, such as automobile entertainment centers for the leading automobile companies including Audi, BMW, Porsche and Volvo, also other industries such as medicine and white goods. While other software companies in their industry offer ERP functionality out of the box, SWP-irma's flagship product, AlfaPlus delivers the unique advantage of also providing a complete automated product planning tool, enabling manufactures to improve manufacturing efficiencies, reduce downtime and ensure products are delivered on time. For their larger customers, AlfaPlus provides interfaces to SAP as well as EDI (Electronic Data Interchange) interfaces to integrate with their partners' business systems. Efficiently manage the entire product production process from materials sourcing to final product delivery for their customers. Dynamically adjust production schedules based on changing order quantities and delivery dates to avoid manufacturing downtime. Deliver a cost-effective solution that doesn't require customers to hire specialized IT to manage the solution. Reliability and stability for managing business critical manufacturing processes and related data. Low Administration eliminating the need for customers to hire specialized skills to administer and maintain the database. Low cost so they can deliver a cost effective, competitive solution that meets the needs of small and medium sized businesses as well as large enterprises. AlfaPlus relies on MySQL and InnoDB to store all its critical data including customer data, supplier data, raw material data, part numbers, order information, billing data and much more. SWP-irma's other products, MDEOne and DMSOne also rely on MySQL for real-time machine monitoring and document management. Furthermore, many of of SWP-irma's customers are small and medium organizations that don't have their own IT department, so it is important to that their application "just works" and their manufacturing and business operations aren't interrupted. MySQL, as a reliable and easy to use data management system, is an ideal fit for their customers' requirements. SWP-irma has been successfully using MySQL for the last decade and continues to take advantage of the new improvements in each new MySQL release. For example, SWP-irma is evaluating how to take advantage of the JSON data format for better reporting, which is available in MySQL 5.7. Many of SWP-irma's customers were using Microsoft Small Business Server which included Microsoft SQL Server Express. SWP-irma considered using Microsoft SQL Server but upon further investigation, SQL Server would be simply too expensive and licensing was complex. SQL Server's per core licensing and CAL (Client Access Licenses) would be cost-prohibitive as more users rely on the application. AlfaPlus runs on Windows and is written in .Net C# and implements a MVC (Model View Controller) architecture whereby all the business logic is stored on the application server. Clients only connect to the application server and the application server connects to the database. Over the last 10 years SWP-irma has developed their own C# framework to improve developer productivity and application functionality. SWP-irma is planning on expanding their product portfolio by developing a standalone manufacturing Planning Tool that will embed MySQL and can be integrated with other ERP systems that don't have planning modules. Currently, customers that have ERP system receive their orders in the finance systems, but often lack the ability to schedule their manufacturing machinery efficiently. The Planning Tool will bridge this gap between Order Processing and Manufacturing.